On December 1, 2013 Prof.dr.ir. 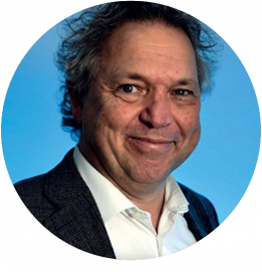 Lex Lemmens was appointed full-time professor of Academic Science and Engineering Education within the Eindhoven School of Education at Eindhoven University of Technology. School of Innovation Sciences. In 2006 he also became Program Director of the Bachelor program at the School of Industrial Engineering. In June 2011 he was appointed the first Dean of the TU/e Bachelor College, in which all the university’s Bachelor studies are clustered. From 1998 until 2011 he ran summer courses at the University of Dar es Salaam and was involved in setting up Bachelor studies in Sustainable Energy at the Vellore Institute of Technology in India and at five universities in Indonesia. From 2010 until 2011 he represented TU/e in the KIC InnoEnergy of the European Institute of Technology where he established various Master programs as member of the education group.